Above photo left to right: Michelle Cangelosi, Director of Take Pride in America Program; Dirk Kempthorne, U.S. Secretary of the Interior; Bob Cothern, Linda Slay, Babs Sanders and Shareen Goodroad of the Black Canyon Trail Coalition; Rich Hanson of the Bureau of Land Management; Desiree Sayle, Director of the USA Freedom Corps. 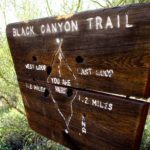 BLACK CANYON TRAIL COALITION NAMED AS RECIPIENT OF 2006 TAKE PRIDE IN AMERICA® NATIONAL AWARD (Black Canyon City, AZ) Take Pride in America Program Executive Director Michelle Cangelosi named the Black Canyon Trail Coalition as a recipient of the 2006 Take Pride in America National Award in the Non-Profit Organization category. Twenty-eight individuals and groups were honored for their outstanding volunteer efforts on Federal, state and local public lands at an awards ceremony held September 14 at the Department of the Interior in Washington, DC. 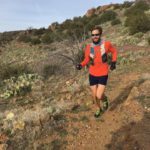 “It is indeed an honor and a privilege to be selected for this award from such a large number of deserving nominees across the country,” said Black Canyon Trail Coalition Secretary and spokesman Bob Cothern. “So many individuals and groups donate hundreds of hours annually to preserve, protect and improve public lands for the benefit of all, it must have been a very difficult task to select only twenty-eight for this special recognition.” The Take Pride in America National Awards are given annually and this year’s winners were selected from nominations representing individuals, groups and projects in 32 different states. The judges, representatives of government agencies within the Department of the Interior, scored the applications based upon the scope of their work, the measurable impact of their results, their collaborative partnership and their demonstration of the mission of Take Pride. 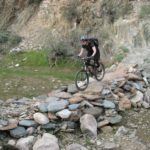 The Black Canyon Trail Coalition is a non-profit organization of volunteers from hiking, equestrian, mountain bicycling, off-highway vehicle and community organizations working in cooperation with government agencies such as the Bureau of Land Management, the National Park Service and the National Forest Service to create and maintain a world-class trail system in a natural desert mountain setting in central Arizona north of Phoenix. For more information, visit their website at http://www.bctaz.com. Take Pride in America, an initiative of the U.S. Department of the Interior, is a nationwide partnership program which inspires Americans to volunteer in caring for their public lands. 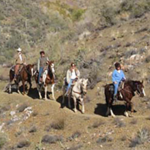 Their goal is to instill an active sense of ownership and responsibility in every citizen for natural, cultural and historic resources, and to support and recognize the efforts of those who volunteer for public lands. Through a web-based search engine, Take Pride offers a database for short-term and long-term volunteer projects on public lands, as well as assistance for project planning. Additionally, Take Pride rewards exceptional volunteer service by individuals and groups with awards and appreciation certificates. For more information, visit www.TakePride.gov.